One mistaken click. That's all it took for hackers aligned with the Russian state security service to gain access to Yahoo's network and potentially the email messages and private information of as many as 500 million people. Of course, that 2014 breach, was soon dwarfed by revelations of a second breach that took place a year earlier and which at the time was said to have compromised 1 billion Yahoo user accounts. On Tuesday, Yahoo said that, in fact, all 3 billion user accounts were affected. The U.S. Federal Bureau of Investigation investigated the 2014 intrusion for two years, but it was only in late 2016 that the full scale of the hack became apparent. In March 2017, the FBI indicted four people for the attack, two of whom are Russian spies. 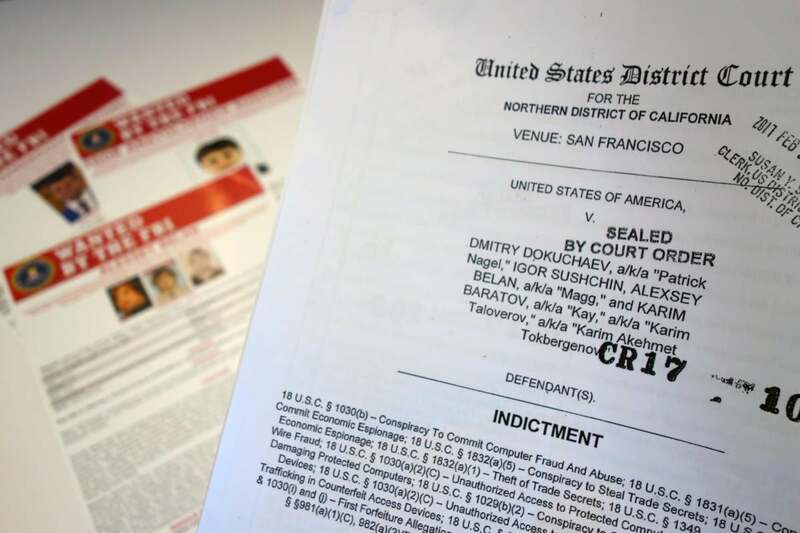 Once Aleksey Belan, a Latvian hacker hired by the Russian agents, started poking around the network, he looked for two prizes: Yahoo's user database and the Account Management Tool, which is used to edit the database. He soon found them. So he wouldn't lose access, he installed a backdoor on a Yahoo server that would allow him access, and in December he stole a backup copy of Yahoo's user database and transferred it to his own computer. It's those last two items that enabled Belan and fellow commercial hacker Karim Baratov to target and access the accounts of certain users requested by the Russian agents, Dmitry Dokuchaev and Igor Sushchin. The account management tool didn't allow for simple text searches of user names, so instead the hackers turned to recovery email addresses. Sometimes they were able to identify targets based on their recovery email address, and sometimes the email domain tipped them off that the account holder worked at a company or organization of interest. Once the accounts had been identified, the hackers were able to use stolen cryptographic values called "nonces" to generate access cookies through a script that had been installed on a Yahoo server. Those cookies, which were generated many times throughout 2015 and 2016, gave the hackers free access to a user email account without the need for a password. The hacked users included an assistant to the deputy chairman of Russia, an officer in Russia's Ministry of Internal Affairs and a trainer working in Russia's Ministry of Sports. Others belonged to Russian journalists, officials of states bordering Russia, U.S. government workers, an employee of a Swiss Bitcoin wallet company and a U.S. airline worker. So clinical was the attack that when Yahoo first approached the FBI in 2014, it went with worries that 26 accounts had been targeted by hackers. It wasn't until late August 2016 that the full scale of the breach began to become apparent and the FBI investigation significantly stepped up.